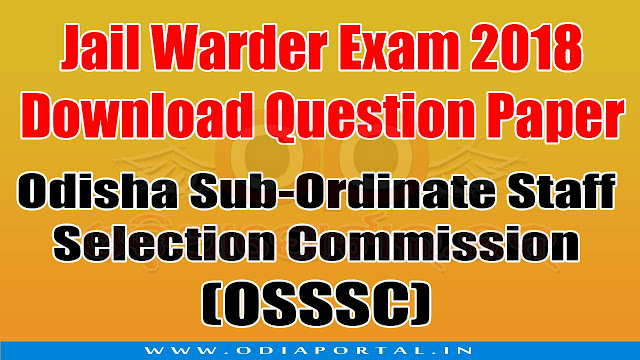 Odisha Sub-Ordinate Staff Selection Commission (OSSSC), Download official entrance examination paper for Jail Warder Examination 2018 which was held on 18th March, 2018. The following is the question paper includes General Knowledge, Language English, Odia and Mathematics. Thanks, plz upload answer key. I couldn't find in google.